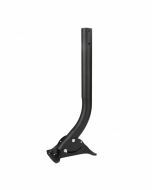 Our Outdoor TV Antenna is specially designed for receiving digital over-the-air (OTA) TV broadcasts from all your local television stations. So never pay hugely expensive cable or satellite fees again and get all your local channels in crystal clear quality, absolutely free. 1) Excellent reception for VHF/UHF channels. 2) This antenna provides you 180° receiving range, up to 65 miles. 3) Comes mostly pre-assembled to save your labor and time. 4) Antenna structure is strong enough to withstand tough outdoor weather conditions. 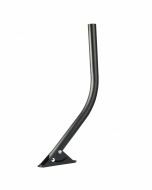 5) Freely installe it on the roof, attic, chimney, eave, mast..
1.Mounting pole not included-Put B013057BDU or B01MZ21OFD into Amazon search box for 1byone pole. 2.Visit dtv.gov/maps and enter your address or zip code for details about the TV towers near you. The website will assist in selecting the correct antenna model and will show you the optimal alignment for your antenna. I want to hook up 3 tv's with one outdoor antenna, is this antenna capable of this? Yes, Depends on distance to your stations (signal strength). I receive 3 VHF and 10 UHF from 15 miles away. What is the Gain db of the amplifier? This is a passive antenna, so no amplifier is included. What size pole will the antenna mount to? I see the one by one mount is 1.65" but am wondering if this would also work on a 1.25" pole? I used 1" PVC in my attic. It seems the mount could work with a wide variety of sizes. 1.25" will not be a problem. Yes, 1.25'' pole will be ok.